Let’s look at the numbers for this year and compare them to the same time last year. Compared to the same period in 2013 when there were 28 homes sold, this year there has not been a slow down in the Sandpiper Golf & Country Club Community. The average market time last year was 106 days for all the homes. This year we are at 71 days. So what does that tell us? Sandpiper Golf home are in demand. With more sales this year and shorter market times it’s clear that there is a shortage of the desirable active adult community Sandpiper Golf homes in Lakeland FL. There are only 8 single family homes listed and 7 homes are currently under contract. Consider that with 34 homes sold so far this year, we should be looking for 68 sales this year. Last year we had 46. At 5 to 6 per month we have about 3 months supply available. Sandpiper Community does seem to have extreme marketing times and nothing in the middle. Of the 46 sales last year, 3 were distressed properties. To date in the first half of 2014, ZERO. That’s likely bad news for anyone looking to capture a deal, Sandpiper Golf & Country club community appears to have firmly pulled itself up and out of the short sale and foreclosure market. Why Are Sandpiper Golf Homes Popular? Maybe because of the amenities this popular community has to offer! Location, location, location. This 55+ active adult community is close to the Interstate, restaurants, shopping and medical facilities. Home prices range from as low as $55,000 for the Villas but to buy the average 2 bedroom home in Sandpiper Golf Community you should expect to spend $125,000 to $150,000. The highest sale this year was $149,900. That tops last year’s high of $$135,000 for a 2 bedroom/2 bath home. 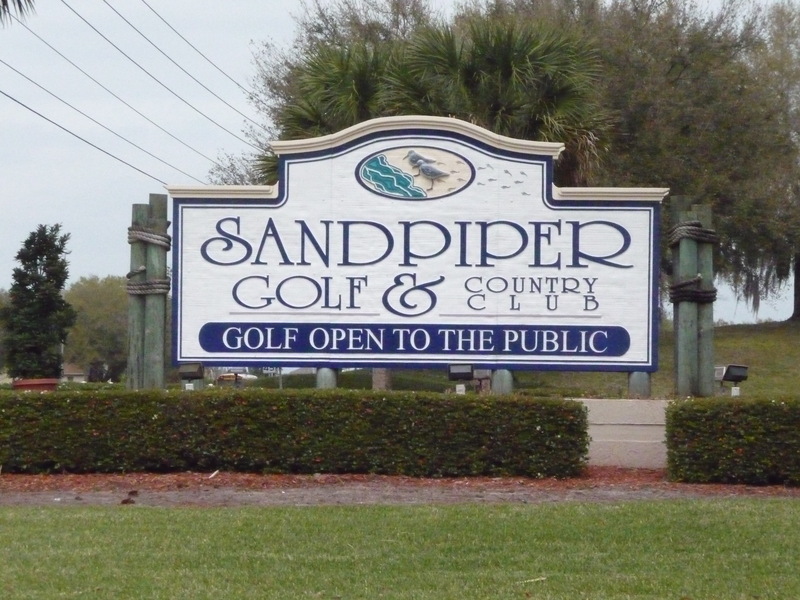 Are Sandpiper Golf home prices on the rise? That’s always a little hard to determine so let’s look at averages and see if it gives us a clue. Single Family Homes – The average sale for the first half of 2013 was $116,548 and for 2014 was $119,564. That’s a small 3% increase. Townhouses – The average sale for the first half of 2013 was $89,500, however only one sold and for 2014 was $87,417, which was for 6 homes. All in all Sandpiper Golf homes values have risen slightly, owners are in good shape because demand is still very active despite in the summer months. If your marketing time is well above the average, perhaps it’s time to ask why. There’s always a reason. 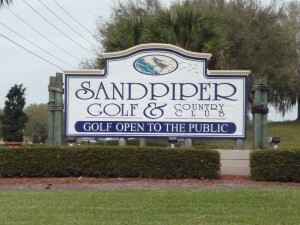 Start your Sandpiper Golf home search in Lakeland FL now by clicking the here.